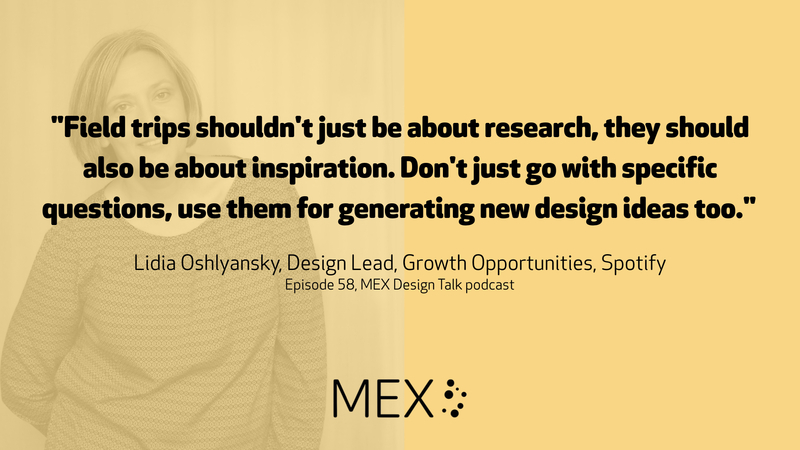 Lidia Oshlyansky has led numerous user experience teams in media and tech companies, including for Google’s emerging markets research and now for growth opportunities at Spotify. 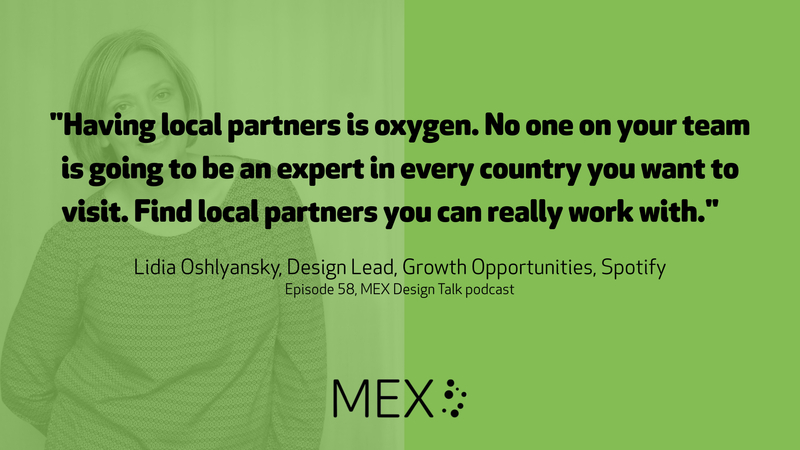 She talks to MEX founder Marek Pawlowski about the nuances of successful field trips, her move from agency- to client-side and the challenges of building communities of practice in large organisations. The discussion ranges from her early path into the field to future ambitions for a return to designing hardware. Get in touch with feedback and questions @mexfeed on Twitter or email designtalk@mobileuserexperience.com. Our next MEX dining club event is in London on 15th May. Get in touch if you’d like an invite – it’s a relaxed dinner talking about experience design with fellow pioneers. Digitas, until recently Digitas LBi, where Lidia was contracting early in her career (before it was LBi!). Previous MEX podcast conversations with Josh Shabtai of Lowes and Hampus Jakobsson of BlueYard about the role of science fiction in digital design. MEX article covering the 2007 launch of the iPhone, discussed by Lidia and Marek as an inflexion point influencing her time at Nokia. Nokia’s N9, running the Meego OS, mentioned by Lidia. Spotify Lite and Spotify Stations, some of the examples Lidia mentioned of her team’s work. A talk by Ed Maklouf from MEX/9 about the importance of sound and how it is hard wired into human perception.